so submit your applications now! 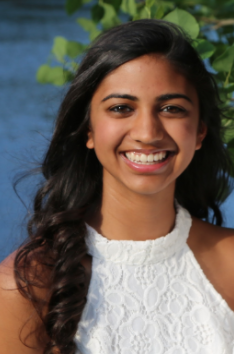 In today’s blog post, we’re giving you a look at a day in the life of Riya, one of our Computer Science Summer Institute (CSSI) students from this past summer. We’ll walk you through her schedule, giving any Generation Google and CSSI applicant a better idea of what the experience is like. 8:45am: I use my badge to get in and head into the classroom with my fellow CSSIers before class starts, where sitting on the tables I see boxes of donuts waiting for us! 9am: Class starts. This morning, we’re learning about object oriented programming in Python. 10:30am: Break for a snack (of more donuts and fruit snacks) and an icebreaker to wake us up. 10:45am: Head back into the classroom and go through a few Python Labs with my partner. 12pm: Lunch time. I head to the cafeteria with the rest of the CSSIers where they’re serving wings. I wait in line and of course have to head over to the panini station to make my own custom sandwich. We then head upstairs to the roof to enjoy lunch in the sun before playing a competitive game of baggo (beanbag tossing!). Afterwards, we go back down to grab a quick yogurt bowl and take it back to the classroom. 1pm: We trickle back into the classroom for the afternoon workshop. Each day, a new person comes to talk to us about different development topics. Today, we’re talking about Impostor Syndrome and how to address this issue. 2pm: Back to OOP in Python. We are working on coding a Ninja game! 3:30pm: We stop for a break where we play Google trivia. The winning students get Google swag — pillows, socks and android toys! 3:45pm: We finish coding the Ninja game and then are tasked with breaking up into groups and implementing a harder version of the Ninja game. 4:30pm: We break into smaller groups to work on the project, and a TA assists when we need help. 5:30pm: Exit survey and daily meme time! At the end of each day a meme is posted by Jessie, the lead for our Chicago site, and we fill out snippets to let the instructors and CSSI program managers know what topics we’re finding challenging, what we thought of the development workshop and overall how we’re doing. 6pm: Over and out. Heading home to get some rest and relaxation! A big thanks to Riya for sharing her day!